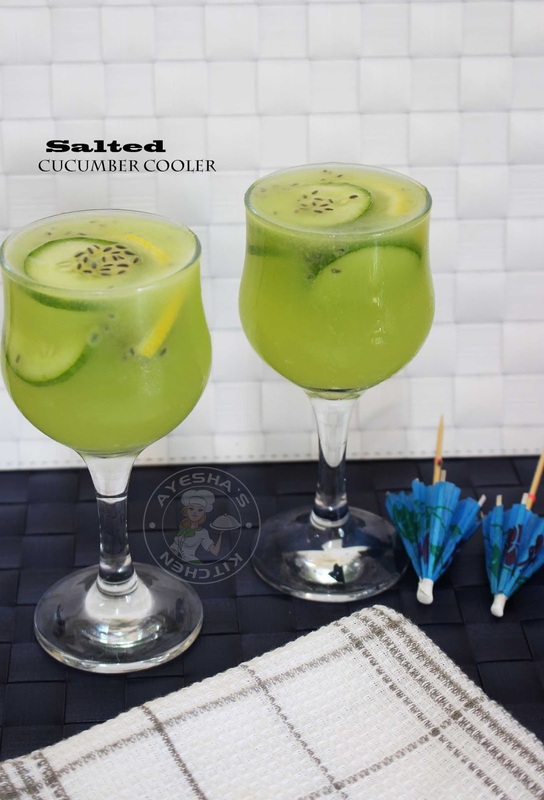 Cucumber lime cooler is a healthy drink in this hot summer. If you love cucumber juices or lime juices then you will love this cucumber lime juice for sure. This refreshing drink is one of the simple drink to make for iftar. Such salted drinks are a great choice to beat the summer heat. All you have to do is to blend all those ingredients in the blender, strain it and serve chilled or immediately. We must stay hydrated especially when Ramadan falls in summer. So we have to include more vegetable and fruit juices in our diet, especially at the time of iftar. Sometimes we will get bored of having the same fruit juices the following day. 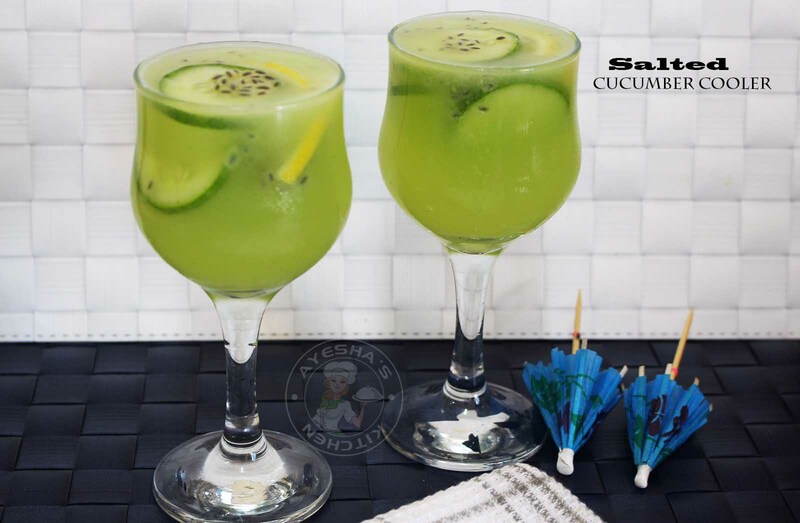 So, just try this salted fruit juice with cucumber and lemon as the main ingredients. This drink will quench our thirst within no time. Hope you all give this drink recipe a try. 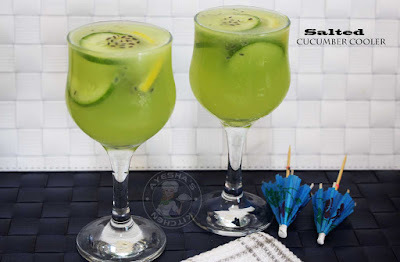 Here is the recipe showing how to make cucumber drink recipes/cucumber cooler / easy cucumber recipes/ cucumber water recipe/ healthy cucumber recipes/ recipe cucumber/ cucumber drink/ recipes for cucumbers. Add chopped cucumber, lemon juice, salt, ice cubes and a cup of water in a blender. Blend well. Strain it through a strainer and set aside in a jar. Add a teaspoon of soaked sabja seeds to the serving glasses. Place cucumber slices and lemon slices in each glasses and then pour the prepared cucumber juice. Serve immediately or keep refrigerated for drinking it later.